Timeless design that will look elegant in any home: hansgrohe's Focus mixer range reflects a clear, two-dimensional design concept. It is ideal for customers who appreciate having plenty of freedom of movement on a daily basis. Focus allows you to utilise the free space in the bathroom to do exactly what you need to do: whether that's wet shaving or filling vases. And the price? Surprisingly modest. Focus mixers are economical and environmentally friendly: thanks to automatic water volume restriction of 5 litres/minute with EcoSmart and CoolStart technology. Rewarding customer service: find the right mixer for your customer's wash basin. Our ComfortZone test shows you matching combinations on the wash basin. This means that annoying splashing is now a thing of the past – and you will have gained some satisfied customers. Lavish ComfortZone on wash basins and bidets: modern single lever mixers from the Focus range come in four heights, different designs and also in the form of an electronically-controlled mixer. Available as an exposed or concealed installation solution. Here you will find bath and shower mixers from hansgrohe's modern Focus mixer range. Your customers can use these products to bathe and shower in ultimate comfort – with exposed or concealed installation solutions. 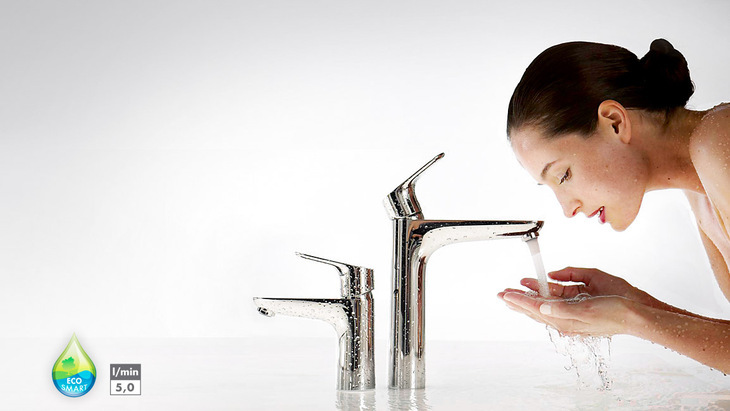 Purist, simplistic design for wash basins, bath tubs, showers and bidets. The Focus S mixer range stands out thanks to its natural simplicity, slender appearance and straight pin handle. Also purist: the price. Here you will find single lever mixers for wash basins, bath tubs and showers in exposed and concealed installation variants. Mixers from the Focus E range bring fresh elegance to wash basins, bath tubs, showers and bidets. Your selling points: attractive single lever mixers that are impressive in the low-price segment; aesthetic mixers that are meticulously processed; sophisticated hansgrohe technology that guarantees years of pleasure. Available in exposed and concealed installation versions.